Discussion in 'Guitars in General' started by Lestercollector, Feb 3, 2012. So fella's. does anyone here like a super thin neck profile? Just wondering.. I don't know how thin you're talking but my LP has a pretty flat and thin 60's neck. Which is odd because most guitars I like have HUGE necks including my Strat and every other Les Paul I've liked. But I guess I'm not totally a fan of the Les Paul ergonomically so the neck shape makes up for the weight and lack of upper fret access. I just wish it was bit rounder. I also think big necks is a passing trend. Some people genuinely do enjoy them but the fact that it seems like all anybody wants is fat necks other than the shredders seems odd to me. I mean, Hendrix didn't play huge necks... In fact, Clapton loved his LP BECAUSE of its skinny neck. The 60's Slim neck on my 03' LP Standard is about a thick as I'm happy to go! I say this as a player of a slim 9' radius-C shaped Strat, 10' Tele and a reasonably svelt 335. I dont like too skinny neck's, but I have to concede somethings to my smallish hands. I play a FT ESP Eclipse Standard for that reason. Baseball necks have good tone but the playability lacks for me. I like ebony boards too. If I ever get a Gibson Historic again it will have to be a G0. I love the Gibson 60'sneck profile. I just bought a new Gibson LP Special Pro which is a GC exclusive model. They come in two models. The sunburst finish has a 50's neck and the wine red version has the 60's neck. I'm not shitting you I played the wine red one at my local GC for 45 minutes one day. I couldn't leave without it. It may have the most perfect neck I have ever played. Friggin perfect!!! Even the slim 60's is a little on the big side for me. I play the thinnest necks ever (from all I've played), Fender HM Strats, and i want a les paul or knock-off so bad, but none are even close to comfortable, hell even my tele and normal strat necks are a little big...guess that happens when you've played the same guitar for 18 years, and it's that slim of a neck. I like really fat necks. Thin necks make my forearm cramp. 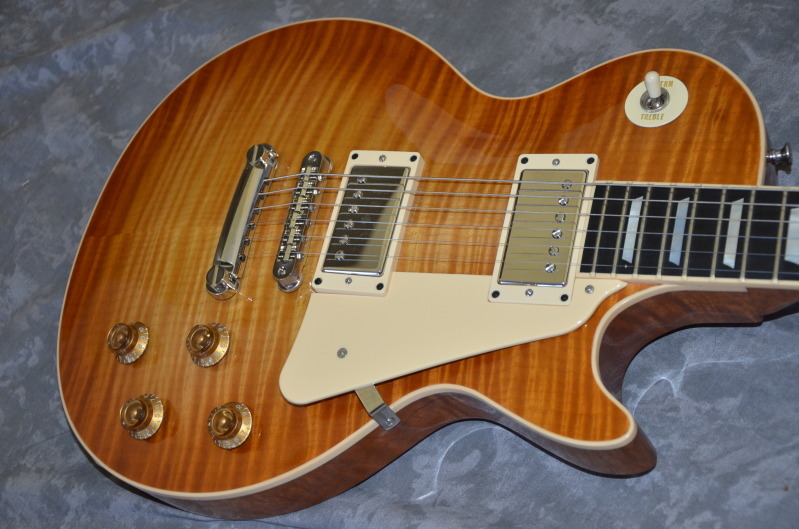 Have you tried any of the Les Paul Classic Premium Plus models from the mid 90's? Thinnest Gibson neck I've ever played. 60's neck guy here, i got short fingers, can't do baseball bats. I don't like ridiculous baseball-bat necks but something doesn't feel right when the neck is too skinny on a LP. A LP collector who prefers thinner necks? This goes against forum modus operandi kudos to you for standing against the bs majority consensus of TGP. 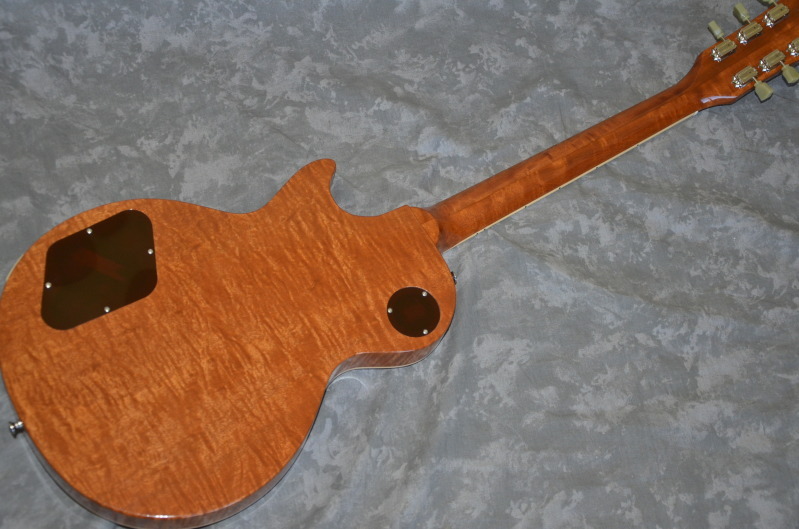 Same here, I much prefer the slim profile necks. One of the main reasons, I have gone through so many LP guitars. Can palm a basketball but much prefer my two R0s. While I like and have no problem with a thinner neck profile as with my 2011 Gibby Angus Young "BIB" SG I also LOVE the 50's profile on my 2008 LP Studio. It seems I need a variety of necks sizes to change it up a bit from time to time as one profile all the time ends up feeling stale after a while.